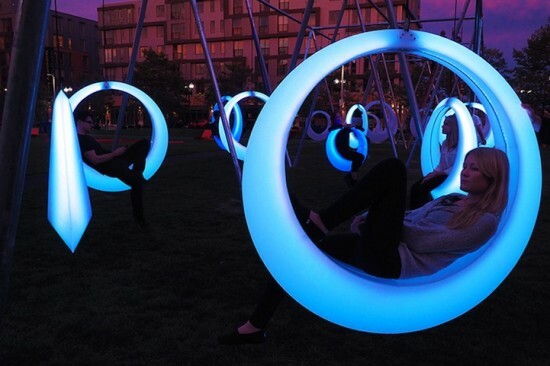 Swing Time, an interactive installation of swings that glow! Ever wondered what it’d be like to sit on a swing that glows and spend a few hours after dark staring up into space? Well, we didn’t either, until we stumbled across these! 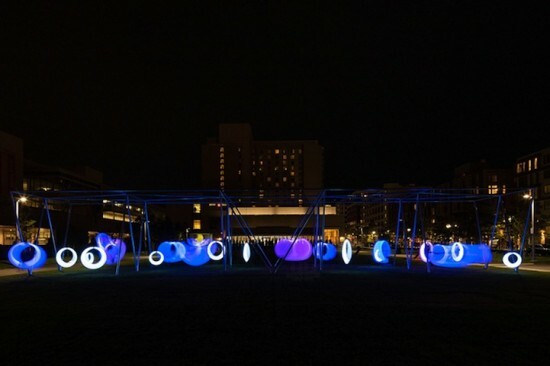 Called the Swing Time, this interactive installation on The Lawn on D in Boston enables visitors to sit back and relax while swinging in glowing hammocks! 20 of these have been installed and were developed to “create a new type of city park”. 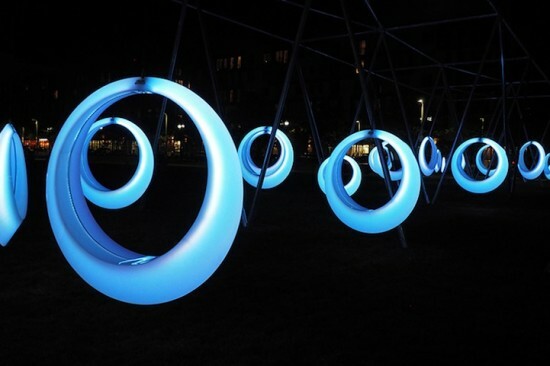 The Swing Time installation was developed by Höweler + Yoon Architecture and each swing is custom made in three sizes. 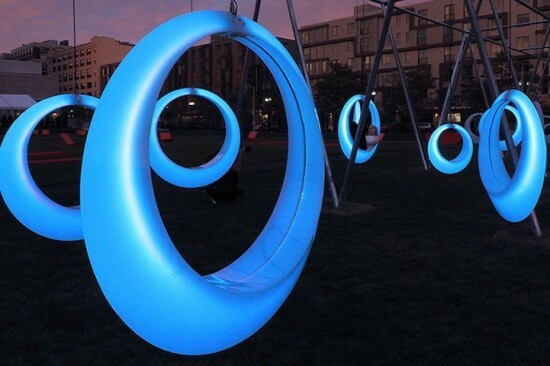 Made from polypropylene, the swings sport LED lighting that responds to movement. At a standstill, the swings emit a soft white light and change color to blue and purple as they begin to move.